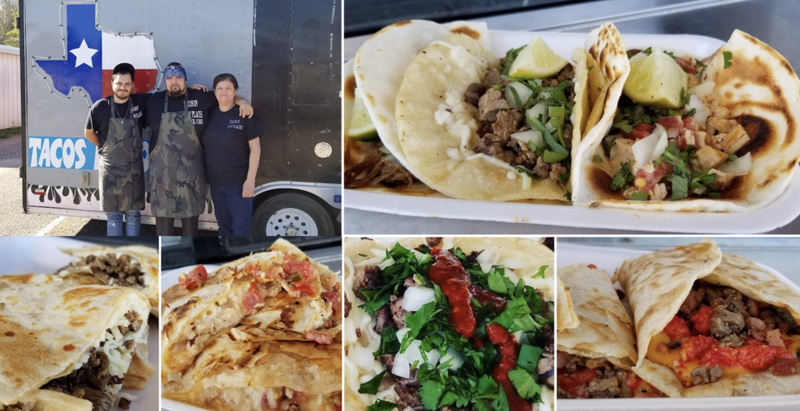 Meet the January 2019 Hello Woodlands Food Truck of The Month, Tacos in Low Places! 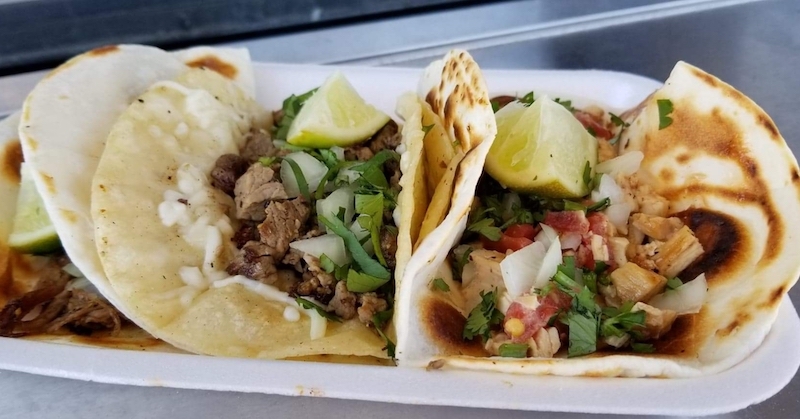 Tacos in Low Places is a new taco truck in the Willis, Texas area that is quickly gaining fans with their creative taco combinations since October 2018. Tacos in Low Places Jose Carlos Hernandez, Shawn Sanchez, Sherry Guajardo. Photo by Nick Rama. Owner and Chef Shawn Sanchez recently left the corporate world where he worked for an inkjet company. Shawn started selling tacos out of his car while his food truck was being built. He decided to take a chance by doing what he loved and feed people in the community where he grew up. 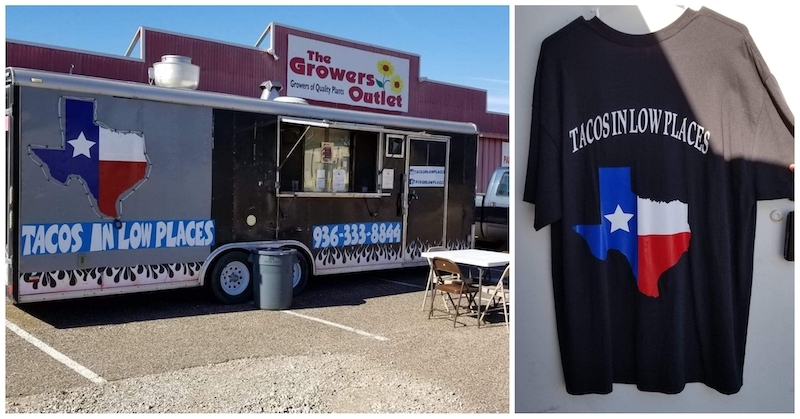 Located down the street from Willis High School and in front of Growers Outlet at 11173 TX-75, Tacos in Low Places is a family run business. 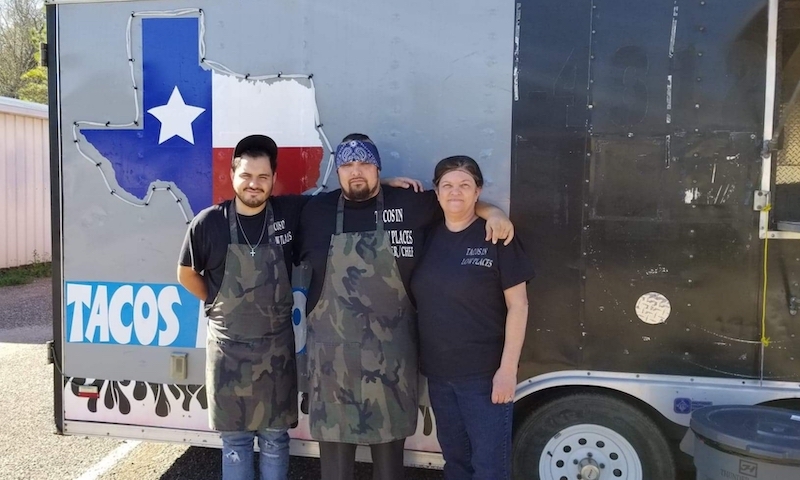 Shawn’s mom, Sherry Guajardo, and his cousin, Jose Carlos Hernandez, help out on the truck and Shawn’s sister, Veronika Catacoly, is in charge of making t-shirts, social media and marketing. Tacos in Low Places Truck and T-shirt. Photo by Nick Rama. Tacos in Low Places has a variety of meats which include traditional beef and chicken fajitas, plus combinations that you don’t see at many places like Texas brisket, sausage and bell peppers, chicken and sausage. The famous Tres Carnes which includes three meats including fajita, sausage and bacon with your choice of corn or flour tortillas. 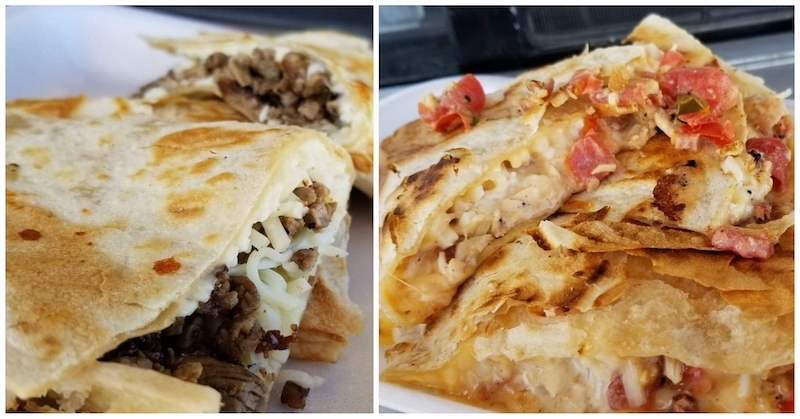 The Garth, one of their newest signature menu items, consists of two corn tortillas with mozzarella cheese on the first, stacked on top of another corn tortilla with another layer with mozzarella cheese and your choice of meat with onions and cilantro. If you’re really hungry, the Artery Clogger is what you are looking for! It’s a burrito size tortilla with nacho cheese, mozzarella cheese, ranch dressing and their Chicken Bacon Ranch combo, then folded like a quesadilla and is best eaten with a fork. 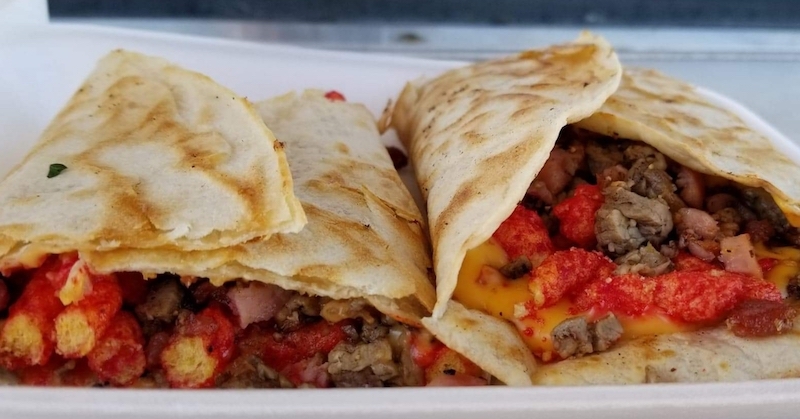 The Bullrito is a burrito stuffed with nacho cheese, hot Cheetos, and your choice of meat. Tacos in Low Places Beef Quesadilla and The Artery Clogger. Photo by Nick Rama. Tacos In Low Places also sources their flour and corn tortillas locally from Tortilleria 6 Hermanos in Willis, Texas fresh daily. What made you open a Taco Truck? It was always a dream of mine to open a food truck. I already had the ball rolling on the food truck but it never fit in my work schedule and after 10 years, then getting laid off it was now or never. So I took all the money I had and with a lot of help, I turned my dream into reality. 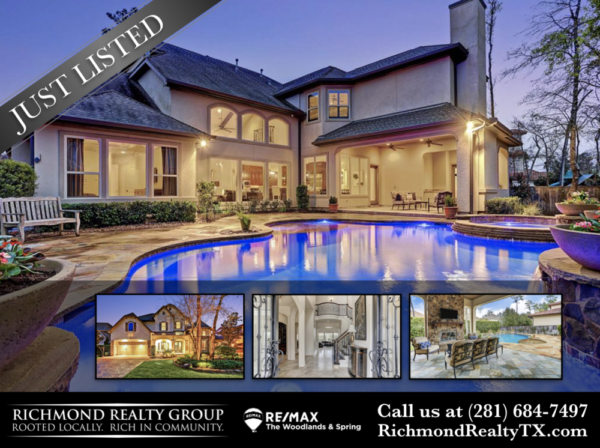 Why did you choose Willis, TX as your location? Well, I grew up and graduated in Willis. With all the rules and regulations in Conroe I figured Willis needed something new and different from your ordinary taco truck. 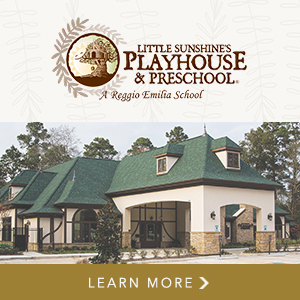 Do you do special events and catering outside of the Willis area? Of Course! Whatever we can! Events, catering and parties. We try not to go to far but, whatever we can do to get our name out there. Obviously you are a big Garth Brooks fan, who came up with the name of your food truck? The whole family, we started making names up to see what would be cool and what would go with our craziness. Then voted on the best name, what goes best with Friend in Low Places but Tacos in Low Places? What can someone expect during their first visit to Tacos in Low Places? Something totally different from your ordinary taco stand. Nothing from your regular normality other than beef and chicken fajitas. We offer that, smiling faces and you may even get sung to if the music is right. I attended The Art Institute of Houston for culinary arts so there’s that. I always paid attention to my mom’s cooking and also my aunt’s and uncles cooking. Plus, the experience I gained with working at different restaurants. Do you make your own salsas? Where did you get your inspiration for the Artery Clogger? Pretty much experimenting. I am not afraid to mix things and see what happens. Of course I try out everything but I also have my cousins who are the guinea pigs. What is your favorite menu item on your truck? Probably The Garth and the beef fajita tacos with Nacho Cheese. I can eat those all the time. What does your family bring to business? Everything, I wouldn’t be my crazy self without them. They have supported me with everything I’ve done. They help out with anything on the truck, and they are the flame that keeps this candle burning. What are your plans for the future? Another truck or a brick and mortar location? Possibly another truck, but way down the road. We are still learning on this crazy adventure, especially with this one. I like the truck idea, of just getting up and leaving to different spots. 5 words to describe Tacos in Low Places? The Nick’s Local Eats Facebook group had a one week poll to vote for the best Food truck in Montgomery County. Tacos in Low Places fans came out in droves to overwhelmingly vote for the food truck, thus making them this month’s winner.